This one is definitely not new- both on the market and in my collection. 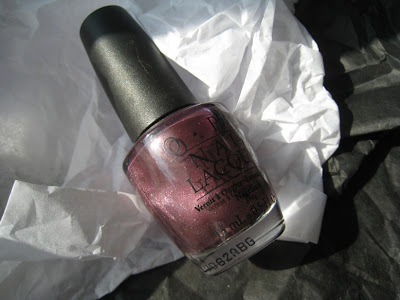 Meet Me On The Star Ferry was released by OPI as part of their Hong Kong collection for spring/summer 2010. I picked it a few months later when I was actually looking at fall colors and have been loving it ever since. 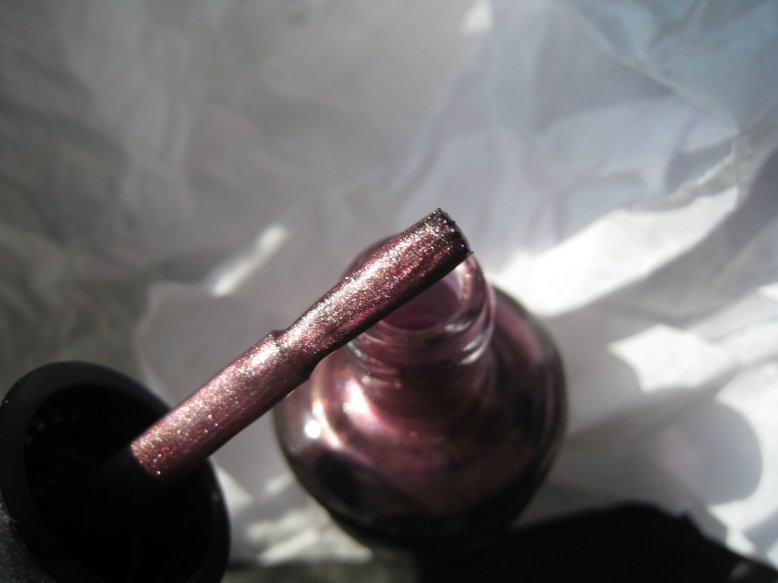 Obviously, this is not a typical summer shade even if the actual color, as you can see in the swatch, is not as dark as it looks in the bottle. You can usually count on OPI to have something for everyone, even if it's just one nail polish from each range. Since I'm not a pink or orange person I usually pass on summer collections, but this shimmery purple was a true love. Meet Me On The Star Ferry looks somewhat dramatic, especially on a spring or summer day. I'd save it for a night out if you work in a conservative environment (the Hong Kong collection has a couple of light pink and lavenders. And there's also Chop Sticking To My story, a rich and creamy caramel). Still, this is a fun and beautiful color in the expected OPI quality, thick wide brush that makes application quite painless for the klutzy ones (=me) and great tenacity in the face of normal household chores. OPI Hong Kong Meet Me On The Star Ferry nail polish and the rest of the Hong Kong collection can be found online for around $5 a bottle or even less. Some Ulta locations might still have a bottle as well as nail salons.